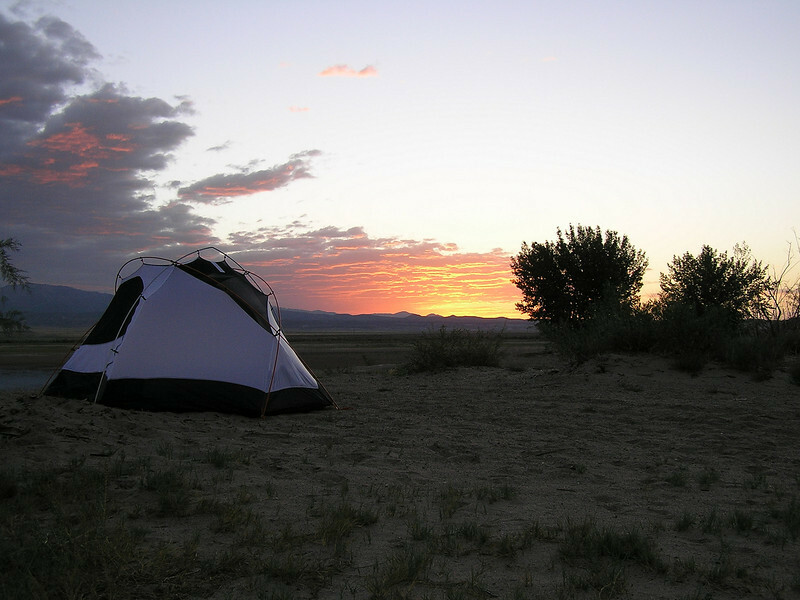 Boysen State park: Just north of Shoshone WY are a number of reservoirs with camping. We hit the first, Boysen state park. It felt a little primitive. We were use to South Dakota state parks with nice showers. The first place we put our tent up was nice and close to the water but we soon noticed ants were everywhere; on the ground, on the picnic table, on our stuff. Heidi takes a short hike up the beach and shouts back “There are no ants over here!” We both take a longer hike and find an even better spot. It was secluded on the beach and had shade. When we marched back up the beach to start moving camp we found the outside of our tent covered with ants. I pick up the tent and haul it to our new spot. We theorized why all the ants were at the first site. That first place was close to the boat launch and is probably one of the most popular sites. With that includes all the food and crumbs. Anyway, no ants at our new camp and we are happy.